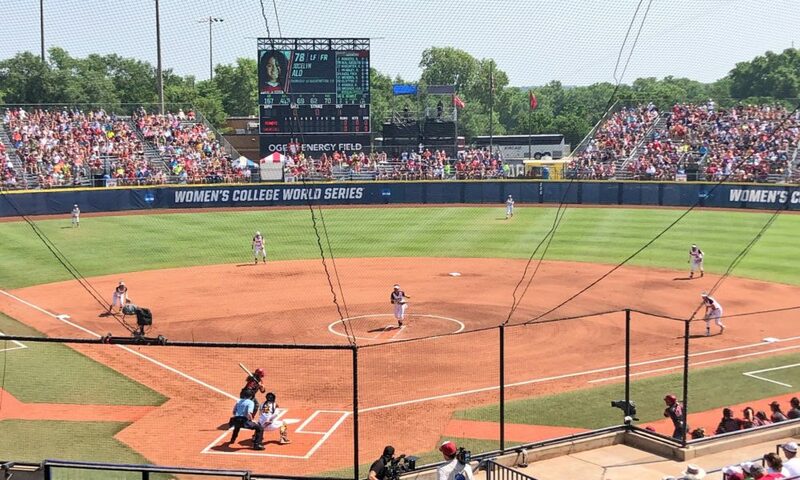 It’s survive and advance for Oklahoma Softball as the Sooners reclaim their dominance with a 2-0 victory over the Arizona State Sun Devils on Saturday afternoon. The Sooners and the Sun Devils entered today’s matchup with elimination on the line, and after Thursday’s 2-0 loss to the Washington Huskies, OU had one thing on their mind; winning. Paige Parker was phenomenal on the mound pitching seven innings, racking up seven strikeouts and allowing only two hits. Parker had six strikeouts on Thursday, and now has 165 during her time at OU. 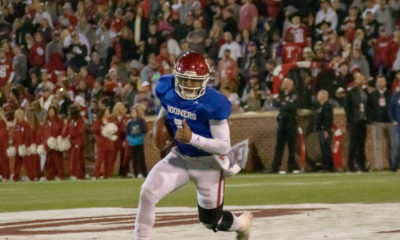 Both Parker and head coach of the Sooners, Patty Gasso, were asked postgame whether Parker would be up for starting another game during the series. “I will tell you right now if Paige Parker says ‘I’m good,’ then she’ll be on the mound,” Gasso said. The Sooners and Sun Devils had a quiet first two innings, but the freshman phenom for the Sooners, Jocelyn Alo, made some noise with a solo home run on her first pitch with her second at-bat appearance. Alo leads the Big 12 in home runs this season at 28, and she adds a 29th putting the Sooners on the board with a lead they never gave up. Alo, now with 29 home runs, needs only one more to match Oklahoma’s record for number of home runs in a season. Alo was named Big 12 Freshman of the Year and the NFCA Freshman of the Year. She is the second Sooner in four years to be given this honor and joins none other than Paige Parker, who was awarded NFCA Freshman of the Year in 2015. Arizona State starting pitcher, sophomore Giselle “G” Juarez, says she tips her hat to hitters like Alo and talked about the strong offensive presence the Sooners have. Senior RHP Breanna Macha replaced Juarez in the top of the fifth and racked up three strikeouts, but the Sun Devils were never able to tame the OU defense and remained scoreless for the entirety of the game. Head coach of the Sun Devils, Trisha Ford, expressed pride in her team despite elimination from the College World Series, and says she’s excited for what’s to come for ASU softball. 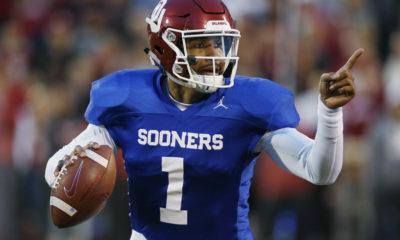 Oklahoma, however, isn’t finished yet. Patty Gasso and the Sooners will be back in action tonight at 6 p.m. to face Florida with elimination on the line for both teams.